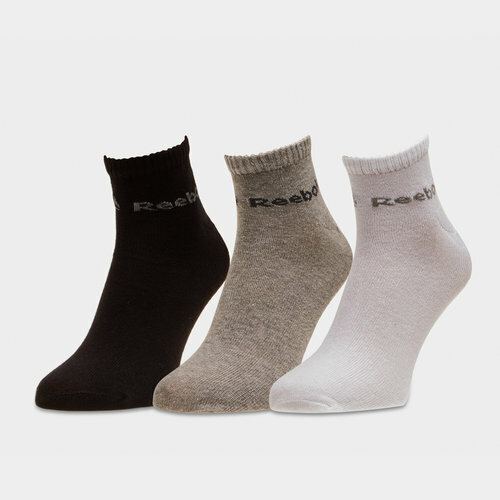 Don't let your trainers rub when you go that extra mile in these Reebok ACT Core 3 Pack Ankle Socks in White, Black and Medium Grey Heather. These ankle socks are made of stretchy fabric for a full range of motion and movement on every rep. The ribbed cuffs offer added comfort and a stay-put fit at the gym or running around the pitch.